Cognitive neuroscientist Dawna Markova and communications expert Angie McArthur are CEO emeritus and CEO, respectively, of Professional Thinking Partners, teaching collaboration strategies to executives around the world. 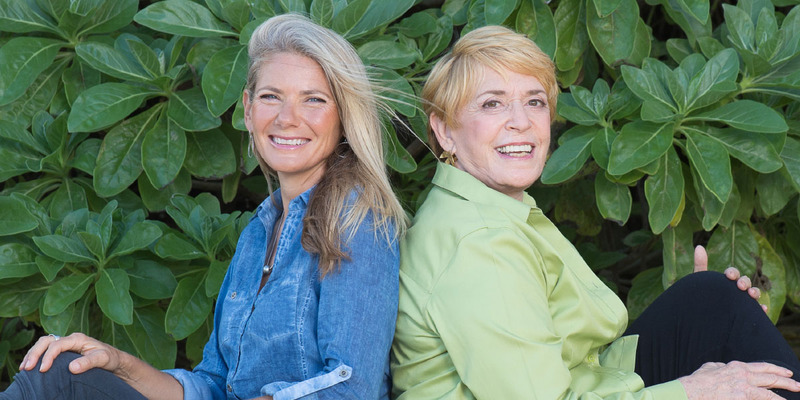 Partners for the past 20 years in helping others move beyond differences to find common ground, this mother-in-law, daughter-in-law duo know how their different thought processes strengthen their own capacity to collaborate with one another. In our interview, Markova and McArthur—co-authors of Collaborative Intelligence: Thinking with People Who Think Differently (Spiegel & Grau, 2015)—detail the research and concepts that have guided their approach to working with senior leaders and their teams. The two are also co-authors of the forthcoming Reconcilable Differences: Connecting in a Disconnected World, to be released in September 2017, which provides strategies to eliminate blind spots in personal and professional relationships. What led to your interest in helping people learn how to “think together”? MARKOVA: My training as a cognitive neuroscientist and as a clinical psychologist began some 50 years ago. That’s what my head was trained to do. My heart, however, has always been interested in helping people connect and discover their innate gifts and talents. Throughout my dissertation studies, what intrigued me more than anything else was understanding how the mind works. How do we think? And, how can we think with others? One experience I had early on at Columbia University, working with brain researcher E. Roy John, was monitoring the brain waves of children in Harlem who were considered disabled. We would provide various inputs—auditory, visual, and kinesthetic stimuli—and watch how each child’s brain would fire. What I discovered was, given the same input, each child responded in a different way. Some kids would go into a daydream-like state, while others would become highly alert and focused. This bore out again and again that different brains could process or metabolize the very same information in different ways. That was the beginning of what I came to acknowledge as intellectual diversity and to understand how essential this is to collaboration. MCARTHUR: To continue Dawna’s theme of head-and-heart training, I was trained in communication theory at McGill University, so I understand well all the tenets for what constitutes good communication. But, I also was raised overseas and from the age of seven was exposed to global communities. Where I lived in the Middle East, my friends hailed from 60 different countries. That exposure at a young age made it clear to me that we can’t rely on words only, as we communicate. It’s also what you show people and the examples that you use to demonstrate something. In terms of collaboration, I think anyone who has lived in a foreign environment realizes that you really do need each other to think your way out of certain situations. Reliance on one another becomes critical. And so, this question of how we open ourselves to others has always intrigued me. When I first was exposed to Dawna’s work in multidimensional thinking and understanding how various inputs impact our brain waves, it gave me a framework to understand what I had been experiencing in my own life. As we embarked over the next 20 years working together with leadership teams, sitting in rooms with so many great minds, what became apparent is that spending extraordinary resources in time, money, and scheduling to get people in the same room does little good if we aren’t actually getting people to think together as opposed to meeting together, because there is a big difference between the two. How would you articulate that difference? MCARTHUR: As we define in our book, collaborative intelligence—what we refer to as CQ—is the ability to think with those who think differently on behalf of what matters to us all. Thinking together requires holding each other accountable and being brave enough to say when something isn’t working. When you step into a collaborative space, it should welcome a diversity of opinion. Disagreements may result, but that can add richness and even lead to a better solution. What does it take for a team to effectively enter that collaborative space? MCARTHUR: First, it’s worth noting that not every meeting requires collaboration or a collaborative decision, but if it does, be intentional about that. Start by collectively defining what you mean by a collaborative space. Too often, people come to a meeting that they expect to be collaborative, but instead one or more may try to use the meeting as an opportunity to win others over to their ideas. That creates a competitive mindset—that my idea is better than your idea. Or, individuals within the group may move toward compromise mode, where perhaps the senior leader shares his or her ideas, and others decide they don’t want to challenge someone who ranks above them. Or, the group may shift into a mindset of cooperation—which many confuse with collaboration—where everyone seems to agree on the decision at hand because of seemingly similar values, behaviors, or interests. What is the best way to avoid slipping into these other mindsets? MARKOVA: As a group exercise, we often begin by asking people to fold their hands together. I learned this practice from engineer and judo expert Moshe Feldenkrais. In almost every classroom or business meeting, when people want to show that they are paying attention, they interlace their fingers and fold their hands together. By asking people to do this, you are asking them to do something habitual. But, we then ask people to pay attention to how they are doing this—how their right and left hands are collaborating. Is the right thumb on top of the left, or the left thumb on top of the right? Next we ask them to unlace their fingers and then re-lace their fingers in the opposite order. Then we ask them to consider which way is more comfortable? Which feels more awkward? Which way are they more aware of the spaces between their fingers? Now, there is nothing more difficult for the brain than to change a habit and to shift from one way of thinking to another. But, as the brain makes this shift, it allows for exploring those nonhabitual ways that may feel awkward or embarrassing, but that can lead to greater awareness. And this is the start of good collaboration. MCARTHUR: The crucial element that must be present in a collaborative space, which Dawna encapsulates with the hands exercise, is taking time to explore. We explore confusion. We go to those places where we don’t necessarily understand one another and we spend time there instead of quickly jumping ahead to find answers. We take time in the awkwardness. We ask questions. Especially as we try to collaborate cross-functionally and across generations, this discovery process is vital. Why is this especially important when working across generations? MCARTHUR: One of the most interesting aspects of what we’ve observed in the field during the past several years is that significant biases exist among people from different generations. More than ever before we have young executives in their 20s and 30s who, because of their greater understanding of social media or other technological skills, may have the same level of seniority, so to speak, as someone in their 50s or 60s. And yet, these different generations often have difficulty connecting. So, when we think about understanding our biases, we have to consider not only our cognitive differences but our cultural differences as well, and to be willing to check our egos at the door. MARKOVA: We also have to break free from our habits. Something I frequently hear from senior leadership is that their teams are experiencing a breakdown in communication. Most often, this is the result of habitual thinking. In fact, most relationship breakups also are the result of habitual thinking, while most breakthroughs occur because of nonhabitual thinking. From a physiological standpoint, when your brain operates in a habitual way, it doesn’t have to burn a lot of energy. When the brain transitions from what it knows to a state of curiosity and wonder, it is, in fact, discovering something new. The latest research finds that when discovery is missing, we bifurcate into either/or. Either you are right, or I’m right. In that process, we forget to notice what affect we’re having on one another. What good does it do me to be right and make Angie wrong, if we get further apart and decrease our capacity to work together? And so, to increase the likelihood of breakthrough thinking, we have developed four strategies to help teams engage in nonhabitual thinking so they can discover how others think, learn, inquire, and communicate. Would you expand on each of those four strategies? MCARTHUR: The first strategy is what we call mind patterns. We each have our own ways of learning, communicating, and processing information. Some people need to be on their feet pacing, others need to take meticulous notes, while others benefit from group discussion in order to retain that focused and alert sense of attention. So, instead of a meeting room where everyone is sitting around a big table, we propose designing spaces that allow people to move around and engage each other in different ways. We simply have to be more playful and allow others to break the rules of how we meet together in order to stimulate our individual and collective brains to enter the space where we can collaborate. A second strategy for collaboration is what we call thinking talents. These are the ways you approach challenges that cause you to light up. Again, these are different for each person. In our book we identify 35 thinking talents. While this isn’t an exhaustive list, it provides a beginning point to express the different ways that people naturally engage a challenge. Examples include innovation, adapting, goal setting, storytelling, and precision. When we are aware of our own thinking talents, we understand how to generate more energy for the work we’re doing. MARKOVA: It’s also important to note that having a variety of thinking talents helps us as a group to think together better. Storytelling is one of my thinking talents. I have more energy after I tell a story than before, but when I work on an analytic spreadsheet, I have less energy because my brain isn’t wired to do that. And yet, data analysis is an incredibly important thinking talent to have represented on your team. MCARTHUR: Thinking talents as a strategy also gives us a language to appreciate the expertise present in others. As a group, you can map your thinking talents to better understand the collective intelligence in the room. In doing so, you may find you have a predominance of a certain thinking talent or a lack of others. This could result in inefficiencies or inabilities to communicate with each other or with other groups. And how can people employ the other two strategies? MARKOVA: Inquiry is that state of discovery where the hands are unfolded and we have the opportunity to think in a new way. However, we typically are not taught how to ask questions in ways that open the brain to discovery. MCARTHUR: To help with that, we created a compass tool divided into four directions, or four tendencies, for the kinds of questions we naturally ask. They are analytic, innovative, relational, and procedural. Why this compass is useful is that we all have a natural tendency to ask questions from one or two of these domains, but when questions show up from another direction, we may disregard them or think of them as unimportant. For example, if my natural tendency is to ask a lot of innovative questions, when someone who is highly procedural starts asking me about timelines and budgets, my inclination is to consider those questions as an attack rather than as another person’s tendency for asking questions. Good collaboration requires understanding your natural tendencies and where you have a bias, and also learning to appreciate a different tendency or orientation in someone else’s approach toward discovery. The fourth strategy is what we call mind share. Increasingly in the organizations we work with, we are witnessing a shift from an overall market-share mindset to a mind-share mindset, although even within an organization it’s not always 100 percent one or the other. Generally speaking, a market-share mindset is based on value in specific objects or things, where the leader is most often the hero—that person at the podium making it all happen—and where differences tend to be viewed as a deficit. How does that compare to a mind-share mindset? MCARTHUR: Within a mind-share mindset, value is created by the exchange of ideas, leaders assume the role of host—bringing people together to have a wider conversation—and differences, whether cognitive or cultural, are viewed as necessary to achieve a richer result. While we aren’t suggesting that a market-share mindset is bad, it’s worth recognizing this movement away from a market-share mentality as reflective of a generational shift, as many millennials view the economy and culture within this mind-share mindset. MARKOVA: Fundamentally, the mind-share mindset is more conducive to collaboration. If I come to a meeting within a market-share mindset, at the end of the meeting, someone has the winning idea and someone else loses. In a mind-share mindset, where the currency is ideas that we together think about how to synthesize, everyone leaves with more than what they came with. How do you bring to bear these four strategies to get teams to think together for the good of all? MARKOVA: Once a group can understand these differences in how people think, learn, inquire, and communicate, an overriding question becomes how do we connect? We all walk around with a wealth of wisdom, and each one of us has a piece of the puzzle to help solve this question. What can be helpful is to consider what has worked for you in the past if you successfully collaborated with someone whom you considered difficult when you first began that process. What did you do to create collaboration from conflict, or to create a climate of intellectual diversity that enabled collaboration? MCARTHUR: I go back to our definition of collaborative intelligence as the ability to think with those who think differently on behalf of what matters to us all. Without that “on behalf of what matters to us all,” cross purposes get in the way and collaboration is unlikely. Instead, you have to try to flip that to find the common purpose at the start. What is the common reason that entering into this collaboration is worth your time? Finding that, and keeping that in the forefront, is critical. Things can and will get sticky. Some people may get frustrated and claim they don’t have enough time to collaborate. Yet, it’s exactly like exercising a muscle. The more you do it, the less time it takes to see improvements, and it can result in a position of greater strength and purpose. RANDY ROBERSON is director of strategic initiatives for NACUBO. When you step into a collaborative space, it should welcome a diversity of opinion. Conflict may result, but that can add richness and even lead to a better solution. We simply have to be more playful and allow others to break the rules of how we meet together in order to stimulate our individual and collective brains to enter the space where we can collaborate. Dawna Markova is quick to attribute many of her conclusions about cognition and collaboration to work she has engaged in directly with other thought leaders throughout her career or has absorbed from their scholarly contributions. In that manner, she exhibits the principles she and partner Angie McArthur espouse in their endeavor to assist senior leaders and teams to think together for the common good. Among the key influences on Markova have been developmental psychologist Howard Gardner and his work on multiple intelligences and the different ways people learn, and systems scientist Peter Senge at MIT around his concepts of organizational learning. The work of psychologist Matthew Lieberman, author of Social: Why Our Brains are Wired to Connect, has also struck a chord. “He talks about the different networks in the brain designed for how we relate to one another and how one network will often turn off when another turns on. This certainly resonates with my experience over the years working with senior leaders. When their rational intelligence—that is, their nonsocial reasoning—is turned on, they are more likely to lose awareness of important relational aspects,” says Markova. This can spell doom for collaboration efforts, as communication tends to disintegrate when people focus merely on task. Numerous other thought leaders have likewise influenced Markova and informed specific strategies that she and McArthur employ in their book Collaborative Intelligence and describe in this interview. These include the concept of mind share, which grew from their collaboration with social entrepreneur Goran Carstedt, former president of IKEA North America, and the concept of inquiry based on Markova’s work with creativity researcher Ned Herrmann, author of The Creative Brain and at one time the training director for General Electric. Marcus Buckingham’s Now, Discover Your Strengths has also provided important lessons. As Markova reflects: “In the West, and particularly in the United States, we maintain this rugged individualism that suggests that to be at the top, you have to do it yourself.” Yet, collaborative alliance requires a dense web of interpersonal connections and internal infrastructures, argues Markova. She appreciates research by the likes of Harvard Business School professor Rosabeth Moss Kanter, who observes that North American companies and educational institutions too often take a narrow, opportunistic view of relationships and relational thinking, and too frequently neglect the important cultural, organizational, and human aspects of partnership. What is important about this quiz is not the overall score. Each question will heighten your awareness of a different aspect of CQ (collaborative intelligence) that you can grow, to expand your effectiveness in collaborating with others. The ease with which I contribute ideas in meetings. The frequency with which I share my talents and resources with other team members. The frequency with which other members offer their talents and resources to me and one another. From my perspective, the opportunity for a minority opinion in team meetings to be considered and accepted. The frequency with which I think cross-functionally. The options for different participation styles I create in meetings—visual, auditory, kinesthetic, and so on. My knowledge of which talents and resources each person brings to the team and how to leverage them fully. My effectiveness with challenging clients/customers/coworkers. My ability to get people to act together. My ability to get people to think effectively together. This quiz is an excerpt from page 17 of Collaborative Intelligence by Dawna Markova and Angie McArthur. Copyright 2015. Reprinted by arrangement with Spiegel & Grau, an imprint of Random House, a division of Random House Inc. All rights reserved.